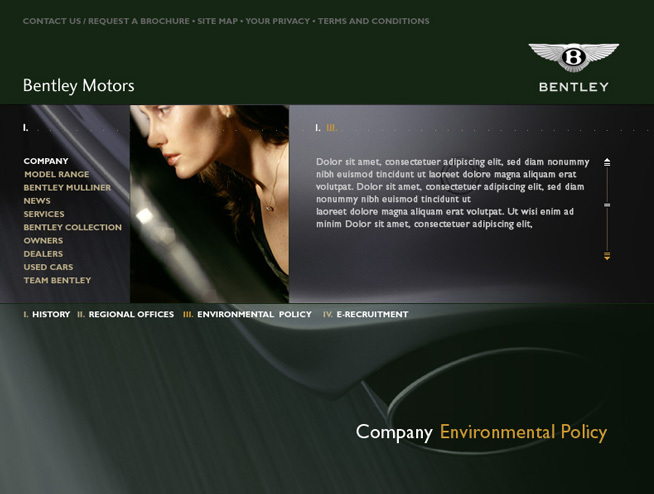 Redesign of Bentley Motors' homepage using Flash components to meet the client's demand for full screen scalability and integrating XML. Creative concepts and redesign of the website for London Hotel One Aldwych. Integration of the new styleguide, launch of the Vodafone iPhone shop and Vodafone VIP platform and concepts for the integration of community platforms and help section. Creative concepts for redesigning the homepage of Sardinian luxury resort ForteVillage. 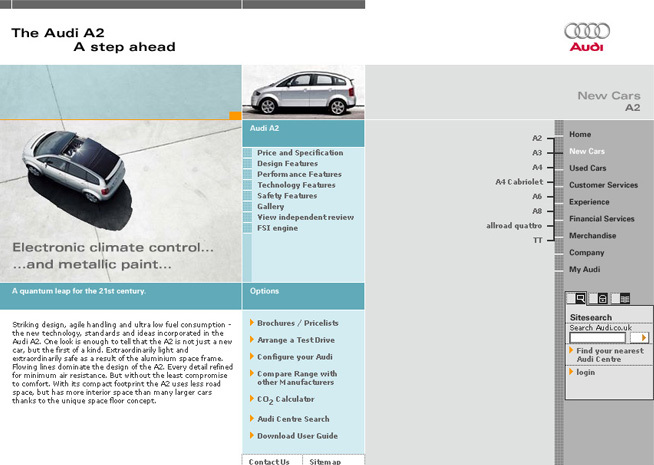 Implementing global online guidelines and various online campaign sites for the Audi UK website.